Cars today are designed to absorb the impact of a collision so that drivers and passengers are kept safe during an auto accident. This often means that after an accident, your vehicle will need to be towed to a local auto body repair shop. 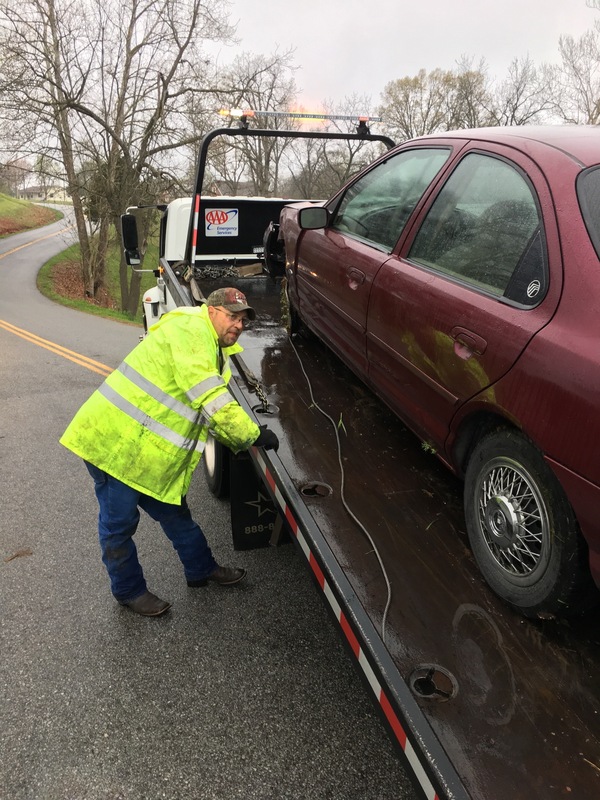 Whether rain or shine, any time of the day, Roadside Services Towing of NWA have the necessary tools, trucks, and manpower to assist you in towing your vehicle safely after a collision. Our flatbed trucks ensure that your vehicle will not sustain any additional damage from road debris or unseen potholes. We will gladly tow your vehicle to the auto body repair shop of your choice or keep your vehicle at our impound lot until you know when and where you want your vehicle delivered. An accident can be nerve wracking, even if it is minor. Our goal is to make the process of moving your vehicle as easy and painless for your as possible. Many insurance companies reimburse the expense of towing your vehicle after an accident. Give us a call today so we can help you!